We make sure that your voice is not only heard, but that what you say is properly understood. To that end, we rely on selected products and the many years of experience of our audio specialists. The placement of the speakers and the calibration of our professional audio installations are key, not just the products that are used. We take the physical characteristics of the architecture into account when selecting the speakers and choosing their locations, and we are able to meet the highest possible standards with the aid of electroacoustic planning tools. In addition to ELA systems from the security technology sector, we also offer complete solutions for quality sound systems in all branches, with a wide range of experience in conference centers to stadium sound systems to large event halls. 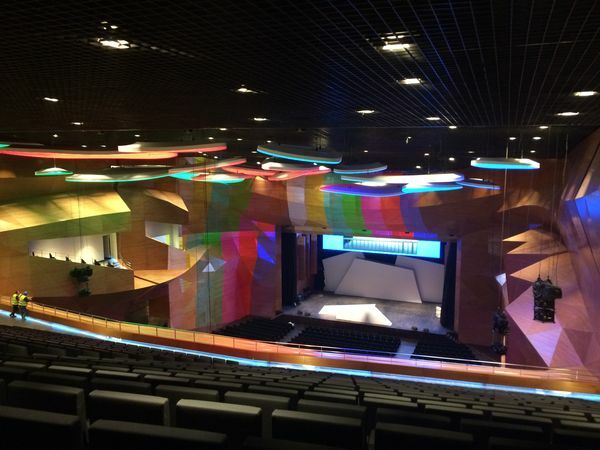 We offer an extensive portfolio of conference technology in addition to projection and quality sound systems and have the experience for engineering installations from small conference halls to large auditoriums with thousands of delegates. There are countless technical configurations for conference systems to meet all manner of requirements, from intelligent room or table microphone solutions to interpreting systems to delegate table microphones with integrated channel selectors for selecting the desired interpreter and integrated voting systems, which can be scaled as necessary to meet your needs. We also offer conference systems for variable multi-room solutions, which make it possible to change or clear conference table arrangements or the layout of the space. 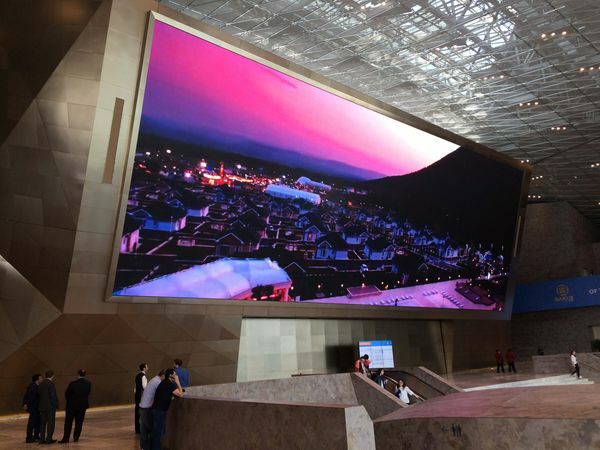 This broad term entails the dissemination of information through primarily visual media such as projections, LED video walls, media facades and, especially, displays in a wide range of sizes. The structure of digital signage systems is largely determined by the size of the system at large. Normally, centralized or decentralized playback computers that are networked with each other are used to transmit the data and information over the network to the end devices. The playback computers are managed and the content is updated from a central point by networking the locations. The objective is to process and present information in the best possible form. Whether it's a product advertisement at the point-of-sale, interactive visitor guidance through a building or digital signage for doors—you can find the right solutions for nearly all subjects and content. Furthermore, in connection with our flexible AVASYS® platform, PKE offers you the option of incorporating the digital signage system into the security management system. This can increase effectiveness significantly, both for improved, simpler orientation and for providing targeted information to your visitors and customers. An important domain within media technology is video technology. In this field, image signals are processed and transmitted in various formats, codings, resolutions, display refresh rates and color samplings. We provide the perfect solutions based on the requirements and system design, such as conventional crossbars, network-based virtual streaming matrices or technical solutions from the broadcast and studio area. In addition to processing image signals, we also offer the appropriate integrated camera solutions, including in studio quality. Our media servers can be integrated to offer everything from simple project solutions, like interactive video displays, to complex panoramic theaters or virtual reality systems. Operation of all of these video technology systems is easy and intuitive with the media control units we install thanks to project-specific, freely customizable user interfaces. We offer custom-made professional lighting solutions for the stage and for architecture. In order to meet your specific requirements in this process, we work with products from all common lighting technology manufacturers and all control protocols on the market. We can even design complex lighting control units that offer intuitive operation for untrained users with the aid of media control units programmed by us. We have considerable experience in the selection of products, to the planning, to the implementation of the lighting control system for everything from classic seminar rooms, interactively controlled museum lighting control units up to stage and studio lighting technology. Our programming lets you operate complex control processes for different media technology systems or industrial, building and security systems across different groups using touch panels, keypads or wireless BYOD devices easily and intuitively. For this, we rely on freely programmable media control systems so that there is no limit placed on your requirements. We design the intuitive interfaces of the touch panel based on your requests, even working with our graphic designers to match your corporate design or fit your internal architecture. The goal is for you to be able to operate your system without help from operating instructions or boring training sessions. Thanks to the free scalability of our selected products, we can design your control system to be future-proof; we can expand and adjust processes for you on request. We tackle these challenges with the expertise of the skilled programmers from our PKE media technology competence center. You do not get a second chance to make a first impression! This is also true for a building and its appearance. Starting from their original use as electronic display panels, LED video walls have increasingly become decorative elements on exterior facades as well as in building interiors. Integrated into the architectural structure or free-standing, they are becoming a style element in modern buildings. Whether large display, architectural lighting or media facade, walls and ceilings with active playback—we offer you tested solutions for every alternative. Integrated into a state-of-the-art content management system, LED video walls are also taking over the world of advertising. Applications span from video monitors to digital billboards up to large display and advertising panels. Thanks to a variety of sizes, formats and image resolutions, LED video walls are seeing increased use in educational spaces, control centers and event facilities where their thin, space-saving design and light intensity can be used to full advantage. Precise planning, interface definition and state-of-the-art content, operating and energy management for the systems are among our most important services. Beyond that, PKE also offers you professional installation and servicing as well as ongoing maintenance for the installation. In the area of infotainment, all media technology systems work together interactively in combination with peripheral devices from building technology and other project-specific control elements. Such applications are typically used in display rooms or museums with state-of-the-art systems for transferring knowledge. 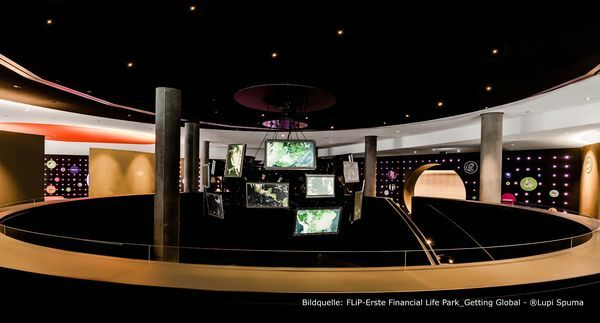 Here, we can link theater-like display sequences with interactive sensors and even bring dry learning content to life for visitors in an intuitive way with the help of complex control technology. An important aspect of this special sector is that the technology is, in the broadest sense, invisible—meaning it is integrated into the architecture—and the user only focuses on and experiences the content itself. In addition to the technical implementation of such project, we can also offer complete conceptual solutions, including interactive room configuration and content production, with the help of our long-time partner companies. On request, we would be happy to send you informational material about reference projects we have implemented in this area.